Send Christmas Gift of nicely wrapped Fruits and Nuts Chocolates with 6 inches Santa Claus and 15 mixed Flowers with candles and a card. 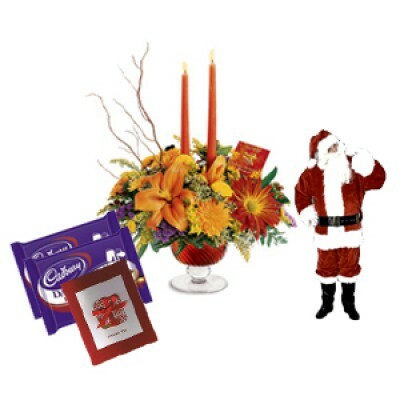 Send this Christmas Gift anywhere in Coimbatore. This is a special Christmas Gift to make your loved ones happy. Copyright © 2018, Coimbatore Gifts Flowers, All Rights Reserved.